This is the kind of conversation that I would love to have with some guy someday, who turns out to be more than some guy. Most days I feel as though I have given up that it will happen, but apparently there are other days when I do feel more hopeful. "Fact number one: I was born at the commune." "No kidding? How long did you live there?" "I didn't. My mother used a midwife and the birth didn't go well. As you might imagine," he spread his hands, "I was a pretty big baby, almost ten pounds, and although my mother is six feet tall, it was too much. She ended up hemorrhaging , and they rushed her to Santa Fe and we both nearly died. That was that, for her, so she moved to town and bought the bookstore, and that's where I grew up, over the store." Tessa feigned swooning. "That would have been my ultimate dream come true as a ten-year-old - access to all those books whenever I wanted." "It was great. It's still great." He raised his beer. "To reading." She toasted with her glass. "What do you like to read?" She asked, and drank deeply. It was actually very good for Guiness not in Ireland." "Mostly fiction. Mysteries, science fiction, horror, big history sagas, you know, like kings and battles and things like that. How about you?" 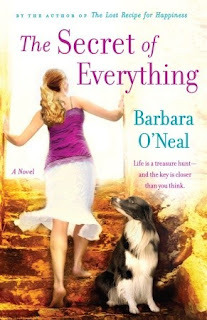 "Literally everything." She laughed, a little ruefully. "I always read everything when I was a kid - and I do mean everything, from Nancy Drew to Dickens to my dad's John D MacDonald - but then I went to regular school and the English teachers started telling me to read 'real' books, so I tried. And you know, I kind of went off reading for a while. I had already been reading literary novels and the classics mixed in with whatever else but-" She waved a hand. "So I went back to reading whatever I wanted, whenever I wanted to - reading had been my greatest pleasure in all the world. I mean, I never really watched all that much television, because we were moving around, never really had solid digs until I was thirteen, so reading was everything." "Me too!" She slapped the hand he raised. "What were some of your favourites?" He leaned on the table, and the edge of his tattoos showed beneath the sleeves of his T-shirt, a pale earth color with There's no place like roan on the front. "Big on Stephen King. Asimov, of course, and those big, juicy sagas that they used to have in the seventies and eighties, you know, like The Adventures and - "
"Oh, yes," she cried. "And Sidney Sheldon." He made a face. "He was okay, but maybe too romancey for me, that guy." "Yeah, he's probably more of a writer for women. Like Tolkien is more for guys." "You think so? I know women who like him." He grinned suddenly. "Probably." He winked. "And they say reading is dying." Barbara O'Neal is one of my favorite writers. Her writing is so beautiful. I get lost in her books. I can't wait for her next book, it's about food bloggers! Well, the quote got me to check the book out on Goodreads, and the synopsis sealed the deal. It's now on my TBR list. Oh, I loved this passage! I would just swoon over a guy like that! I need to read this book! Great post today, Marg! Marg, just letting you know that you are in my Featured Book Blog sidebar for May on Carole's Chatter. Have a great week. "access to all those books whenever I wanted"